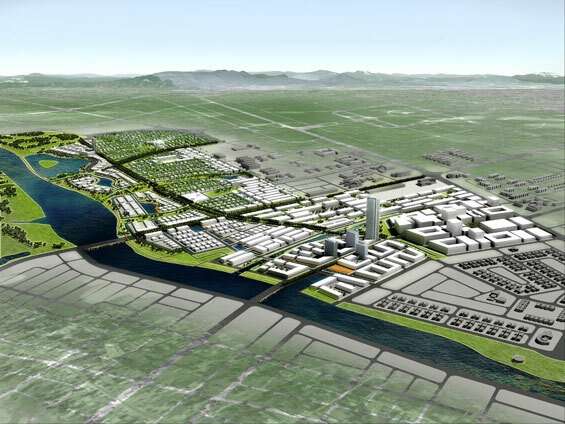 Skidmore, Owings & Merrill (SOM) was awarded the Master Plan commission for FPT City in Danang, Vietnam. SOM’s preliminary plan for a sustainable new high-tech community at the edge of the city has been applauded by local authorities, including the Head of Planning and the Peoples Committee of the City of Danang. SOM is now working closely with these authorities to finalise the project’s design and ensure its delivery. This is SOM’s second recent project ‘win’ in the country and follows the firm’s recent success of Green Tech City in Hanoi. The plan has been commissioned by FPT, an up-and-coming national IT and telecommunications company with over 10,000 employees. Covering an area of over 180 hectares, the Plan incorporates a wide range of uses organised into a series of distinct districts, including a Town Centre, a Business District, and a series of residential neighbourhoods. The plan also incorporates a new University Campus for FPT University – specializing in information technology, software development and e-services. The campus will also contain a research institute and training centre for FPT employees, allowing new technology to be developed further and put directly into practice. The plan is formed on key principles to reduce energy needs and carbon emissions by promoting best practices in mixed-use development in an emerging local context of luxury resorts and single-use residential communities. Instead, FPT City will promote a diverse living community with integrated local services accessed via sheltered and shaded walkable streets. In addition to a web of natural greenways, the plan also incorporates a wide network of smart infrastructure. As a major national IT provider, FPT will ensure the delivery of state-of-the-art communications and information technology to every business and household in the community. SOM’s Master Plan creates a new development vision for Danang based on its local cultural landscape and urban heritage. 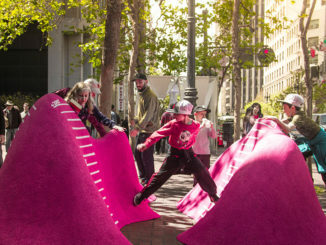 The plan integrates future development within a unique landscape setting and provides necessary community amenities to serve a future urban population in excess of 30,000 people. A complete urban living environment will emerge on site, including a variety of housing types integrated with schools, kindergartens, healthcare clinics, sports and other public facilities. One of the key features at the heart of the Town Centre is a riverfront harbour animating a civic piazza, and establishing a vibrant meeting space for this new community. 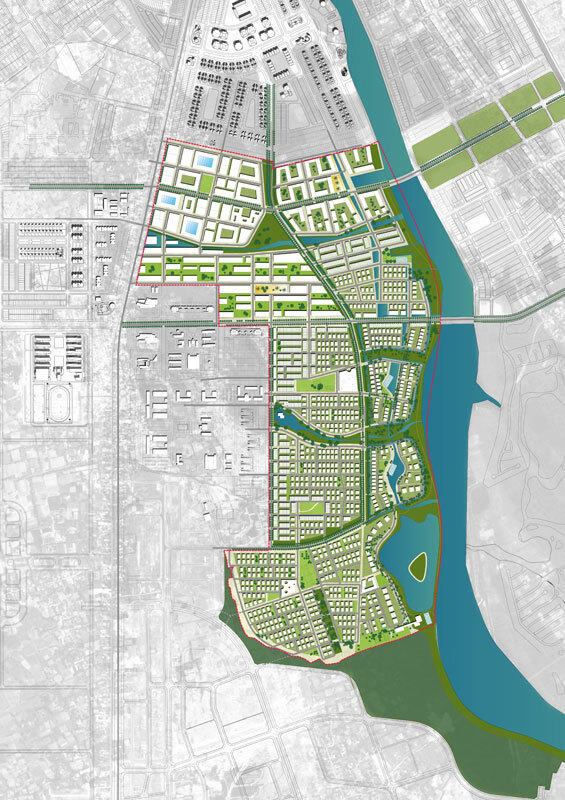 The Master Plan expands and reinforces the local green character of Danang. 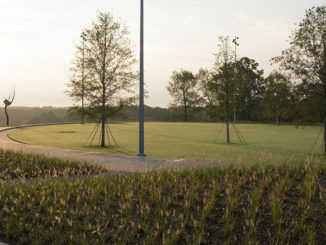 The vision incorporates a series of expansive linear greenways for recreation and stormwater management. This park system assists in managing flood control, preventing rainwater runoff into surrounding areas, filtering and cleansing grey water and providing a source for irrigating future landscape areas. These greenways link each neighbourhood directly to a revitalised riverfront. 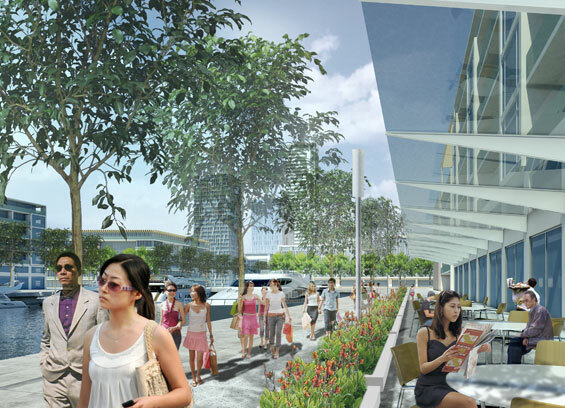 New public spaces are also provided at the heart of each urban district and residential area, ensuring that residents, students and workers alike are all within a short 3-minute walk to these shaded outdoor spaces. The plan also brings to life part of a strategic regional river corridor initiative to be implemented between Danang and Hoi An, a national tourist destination, by establishing a new riverfront eco-park. The waterfront park engages a large existing lake at the river’s edge and will be designed to restore, protect and enhance the wildlife habitat along its entire length and around the lake’s perimeter.